Dark & Stormy Open Mic Night! Brews, books, and ghouls! This Halloween open mic night invites poets & writers to share their spookiest tales and macabre stories with a crowd of literature loving souls. A literary costume contest and scavenger hunt are sure to delight anyone looking for a unique way to spend Halloween. This fundraising event is the closing party of Makara Center for the Arts yearlong "FrankenRead 2018" citywide reading initiative, where over 100 free copies of FRANKENSTEIN were distributed to local readers and over 125 participants engaged in a dozen Frankenstein-themed arts & science workshops. All proceeds from the "Dark & Stormy Open Mic Night" fundraiser will support Makara's nonprofit library and educational programs. March is Women's History Month and what better way to wrap up the month than to pay homage to Mary Shelley and her science fiction novel Frankenstein through Frankenstein inspired art. This year is also the 200th anniversary of Frankenstein's release! So please join us on March 31st, 2018 at Makara Center for the Arts for an evening of art inspired by Frankenstein. You don't want to miss out on this all female art show featuring many local Santa Ana artists! Art show curated by Rosa Celestino. The 2011-2012 documentary series "Prophets of Science Fiction" from filmmaker Ridley Scott (Alien, Blade Runner) covered the life and work of leading sci-fi authors of the last couple centuries. It depicts how they predicted and influenced the development of scientific advancements, inspiring readers to help transform futuristic visions into everyday reality. 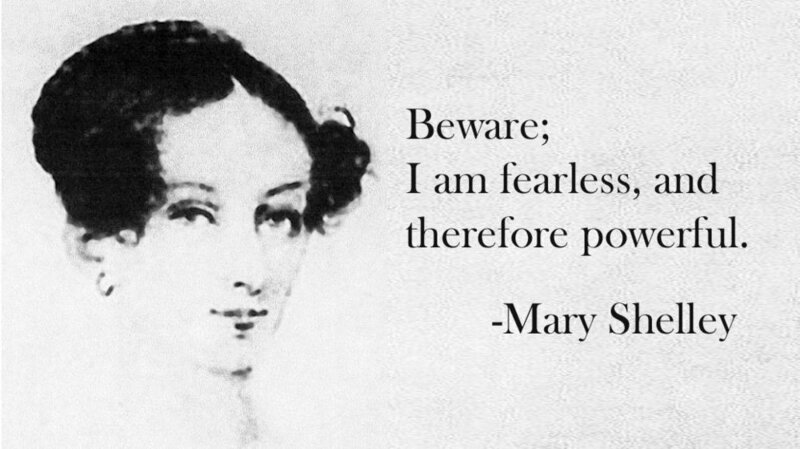 Join us at Makara for a screening of the series' debut episode on "Frankenstein" author Mary Shelley, which explores her inspirations, the novel itself, and their continuing influence on literature, film, science, culture, and more. You are welcome to bring your own food!